Since last week’s letter, I have flown enough to send me over 100,000 miles on American Airlines this year and make Executive Platinum. That is not necessarily a good thing. But wow, I learned a lot between all those flights. Today’s letter will be a little different. First, I want to relate some of the conversations I’ve had over the last week in my travels—a little glimpse into the life of John. Then I’m going to reproduce some recent letters from readers, with some mea culpas and comments from me. I literally get dozens and sometimes hundreds of interesting letters each week. They make me think and I read as many as I can. I think you’ll enjoy them. People often ask what I do on my travels and what it’s like to sit in dinners with serious market thinkers. So, let me tell you about my week. New friend Jonathan Golub, Chief US Equity Strategist at Credit Suisse. I know you really wanted to be at that table, so let me tell you what I learned. I like to ask questions when I can get a group like this together. First question, at least the one at the top of my mind: When will the next US recession start? The average prediction was for the second half of 2019—just in time for 2020 US elections. Jonathan was the outlier, being certain it will be 2022. There were a couple of late 2018 guesses. Lakshman thinks the economy is beginning to cycle down but probably not enough for a recession this year. My own vote is for late 2019, though I may turn more bullish as medium-term data comes in. I don’t foresee a recession beginning this year unless something new and serious happens. That means we have to pay even more attention to Federal Reserve policy. Will they continue to raise rates and reduce their balance sheet, and thus shrink the global money supply? Most everyone at the table was unhappy to see the Fed reducing assets at the same time they are raising rates. Throwing two variables into the mix when we don’t understand either’s effects is too risky. The Fed has put itself in a box. If they back off, maybe they can postpone recession for a while but not forever. However, staying on course will risk inverting the yield curve. If a recession does begin this year, I will blame the Fed for this double-trouble strategy. Randy and I both agreed, and a few others nodded along, that debt and deficits are the bigger long-term issue. Few see the connections between debt and GDP growth, and we are getting to the point where it will start being a drag. Though we mostly agreed that this recovery is closer to its end than the middle or beginning, some think we could see an upside market blow-off first. It would be a final gasp, similar to what happened after the yield curve inverted ahead of the last two recessions. Stock investors ignored it until they had no choice. And as I wrote last week, we don’t have to see an inverted yield curve for there to be a recession. So that was Tuesday night. The next morning, I had the honor of meeting Howard Marks of Oaktree Capital along with some of his team. I was blown away by what a nice guy he is, aside from being one of the greatest distressed debt investors ever. Howard will be at my conference next year, which I can already tell you will be the best ever. Put it on your calendar: May 13–16, 2019 in Dallas. Then I met with Dr. Mike West and Al Franken (not the comedic ex-senator but one of Mike’s board members at BioTime). We talked about Mike’s relentless pursuit of Induced Tissue Regeneration. I truly believe the biotech revolution will restore older adults back to age 25, at least physically. Further, I think it will happen sooner rather than later, possibly within our lifetimes. The process will spin off many beneficial technologies and cures on the side, too. We spent three hours talking about their work and other issues. As you can tell, I have been Mike West’s biggest fanboy for well over a decade, as well as a close friend. This meeting left me more enthusiastic than ever about this technology. That night, I was supposed to meet Ian Bremmer, NYU professor and head of the Eurasia Group. The plan was for drinks after he got off a plane from London. But as I was in the taxi, he sent me an email saying he had just learned his book made the New York Times bestseller list, and his wife wanted to cook dinner and celebrate at their home. So instead of getting maybe thirty minutes with Ian, I ended up being hosted for three hours. As I mentioned in my last ever Outside the Box, I think Ian’s new book, Us Versus Them, is extremely important. You can read it in four hours and I insist you do. I don’t pound the table about books very often, but this one is critical. It resonates with my own thoughts on our society’s fragmentation and we need to wrestle with it. We had a lot to talk about, but we especially celebrated getting that New York Times bestseller designation. Every author knows that is special. For those of us who sweat and labor over books, it validates our effort. I can tell you from personal experience, and talking with other writers, that the moment when you hear you made the list is truly emotional. Iceland was amazing. I am paying more and more attention to the whole Bitcoin and blockchain world. It is still a young industry but already producing things like football-field-sized server farms—with much bigger ones coming all over the world. There’s plenty of danger and downside, too. This needs a longer story and a whole letter. We did some light editing for space and clarity. We didn’t verify the factual assertions in these, so read with caution. Some of these readers disagree with me. That’s fine and I still appreciate them. I’ve been known to make mistakes before… and even when I’m right, being challenged keeps me on my toes. This one responds to my April 20 letter, China Plays it Cool. Chinese communal values are fundamentally different. You can never escape your family and your race. The population is predominantly Han Chinese. The idea of rebelling as individuals if faced with injustice is novel, while it does happen from time to time. This supports the long-term thinking you are describing. The biggest underutilized edge we have is multiculturalism. This is also what keeps Silicon Valley ahead and why Silicon Valley pulled ahead of Route 128 in Boston. Time is important, such as with WTO penalties for China. This is where US politics and economic ignorance plays a part. Today we have an advantage, but it is rapidly slipping away. Thanks as always for a fab newsletter! —Faruq A. This one came in response to my April 14, How to Get Your Tax Weekend Back. I think you should explain a little more why you think the taxes of the top 1% will increase. Their rate dropped. Perhaps the ones living in New York and California will have higher taxes because of the loss of state tax deductions, but elsewhere they will be going down. Also, who owns the corporations whose taxes were cut? It's the wealthy. The cuts increase the value of their stock through higher earnings and the stock buy-backs enabled by the additional liquidity. I am an owner of a pass-through company. I've been told by my tax advisor that my taxes will decrease due to the pass-through deduction and a lower rate. The truth is that except for corporate rates on that part of their income that is not used for stock buybacks, there should have been no tax cuts. We are drowning in debt. If you check, adjusting for inflation, even after the 1981 tax cuts, the rates between 1982 and 1987 were far higher than today. Much of my work as a corporate lawyer before I retired involved converting privately owned C corporations that were doing quite well into Subchapter S corporations that are now doing fabulously better for their owners. The expansion of the availability of Subchapter S already created a huge tax cut for them. Now comes along an additional one. The trend since 1980 continues: Income tax cuts for the wealthy, acceleration of the disparity in income between the rich and poor, an infrastructure starving for upgrading because of the Republican pledge not to increase any taxes (including gasoline tax that hasn't been increased for generations), and massive increases in the public debt. Something small businesses would appreciate more than tax cuts is expansion of Medicare to persons 55 and older. This would drive down the cost of providing insurance to our employees, a cost that increased 30% this year. Increased medical insurance costs and higher interest rates are much more of a concern to us than tax rates. I would gladly pay more in personal income taxes and gas tax to expand medical care availability to working people, reduce the deficit, and rebuild our infrastructure. —Howard M.
John: OK, Howard, I did a deep dive. Some pushback and a mea culpa or two. First, some of the rich do pay more. But as a group? Not so much, except for the REALLY high incomes. Let me repeat what I wrote in the letter. 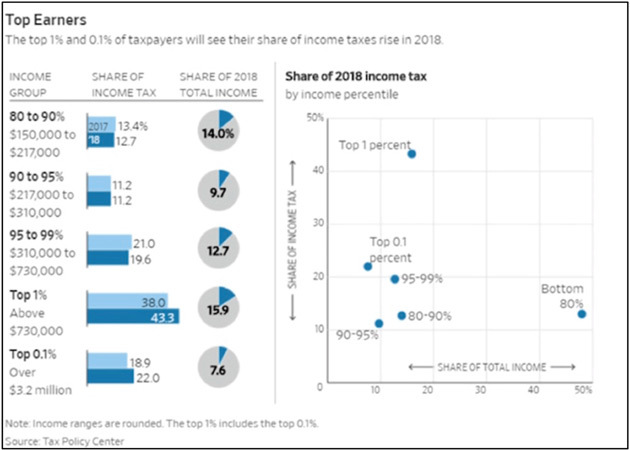 Laura Saunders, writing for the Wall Street Journal, uses analysis from the nonpartisan Tax Policy Center to demonstrate that the very top earners will now pay an even higher percentage of overall taxes. The top 1% go from paying 38% of total income taxes to a little over 43%. According to Saunders, the results show how steeply progressive the US income tax remains. For 2018, households in the top 20% will have income of about $150,000 or more and 52% of total income, about the same as in 2017. But they will pay about 87% of income taxes, up from about 84% last year. By contrast, the lower 60% of households, who have income up to about $86,000, receive about 27% of income. As a group, this tier will pay no net federal income tax in 2018 vs. 2% of it last year. After the income tax, the most important revenue raisers are for social insurance, such as Social Security and Medicare. They will provide about 34% of the total tax take this year, according to the Joint Committee on Taxation. Corporate taxes will account for 7% of revenue, down from 9% in 2017. The rest of the total comes from excise taxes, estate, and gift taxes, and other sources such as customs duties. Roughly one million households in the top 1% will pay for 43% of income tax, up from 38% in 2017. These filers earn above about $730,000. Now, I did an in-depth call with my tax accountant, Darrell Cain of Cain Waters. They do a few thousand tax returns, mostly dentists and their families. Those below $60,000–80,000 get a cut or pay no income taxes. Up to about $1 million, there’s usually little change either way. Above that level, you see an overall slight increase. If you make more than about $5 million, your taxes start to go down. So, the really rich do get a tax cut. The cuts are skewed toward the wealthy, but not all that much. The big winners are C corporations. That’s why we are already seeing sub-S corps, especially larger privately-owned ones, converting to C-corp status. This letter is reacting to the immigration comments I added at the end of my April 14 tax discussion. I am a long-time reader of your newsletter and so appreciate your clear insights on current political and economic events and how they may affect us. I am a Democrat, used to be a Republican until Reagan's second term and deficits started piling up. I know you are a Republican, but you never get political. You just state how a policy from either party will affect the financial world. I greatly appreciate that. I am writing in complete support of your position concerning your maid. I got upset just reading about it, as it is so unfair and unnecessary. Casting politics aside, I don't understand why people don't see immigration as an economic necessity. We need workers! I used to be more opposed to immigration and wanted all illegals out of the country. At a company I used to own, we had quite a few workers who were most likely undocumented. However, they were all hard workers (a trait that still is hard to find), paid taxes, and just wanted to be model citizens. Why would I want them out when they were contributing so much? Our economy would collapse without them. The only part of your story I don't agree with is the swap of DACA for the $25 billion for the wall. Trump's main campaign promise was Mexico was going to pay for the wall. Trump is the one that ended DACA. DACA should not be a bargaining chip. It should be restored. The wall is a separate issue. It is shame on Trump only, not also Pelosi and Schumer. Thanks for listening, and thanks again for sharing your knowledge and experience. Sincerely, John D.
John: I actually hear you about the trade-off for the wall and DACA. I just would like to see DACA go through and if that is the trade-off, then it’s okay with me. Not saying it is right. The wall will not work (sigh). It will simply re-route those wanting to come here and live the dream. So yes, it’s a separate issue, but politics is compromise. Sometimes compromises are ugly. My next trip will be to a private conference in Chicago for my friends Swan Asset Management. I’ll also meet with old friend Raghuram Rajan, former Reserve Bank of India head and now on the Chicago Booth faculty. Then I fly to Orange County to do a speech for the CFA Society on May 17. The next week I go to Raleigh, North Carolina to see old friends and speak at The Investment Institute. Then at some point in June, I’ll be in Cleveland for an overdue medical checkup with Dr. Mike Roizen. As many longtime readers are aware, I spend much time thinking about the jobs of the future. One conclusion I've reached is the importance of raising kids to understand entrepreneurship, financial literacy, and starting their own business. A good friend of mine in Dallas and a reformed hedge fund manager, Reid Walker, co-founded the Dallas branch of Lemonade Day. The organization teams disadvantaged kids with caring adults to learn about business by opening a Lemonade Stand. They have to create a business plan, borrow money from the bank to fund it, and then pay it back. Since its founding in Houston ten years ago, Lemonade Day has spread to over 69 cities across North America with over 60,000 kids participating last year and one million since inception. Click here and see if Lemonade Day is in your city. Then go invest in a kid’s future by drinking a few glasses of lemonade! Maybe consider tipping them and getting involved in their lives. You can watch a cool video here. It is time to hit the send button. This time I am literally on the plane from JFK to Dallas. We are taking an extra hour to avoid weather... the glamour of travel. I am ready to be home for a while, and I just got a message that Pat Caddell is going to come spend a night next week. By Katherine Bindley and Wilson Rothman . Facebook Inc. FB -0.57%▲ just updated and expanded its data policy for the first time since late 2016. What contained around 2,700 words now has 4,200. It clarifies a lot that was vague in the prior version—in light of the company’s recent scandals, it needed to. There are now more specifics about how your data is collected, why it is stored and when it is deleted. •Information “you provide” Facebook isn’t just things like posts and photos, but can include the location metadata inside photos, and even what is seen through the camera in its apps—for instance when you use filters and masks. The company says its systems automatically process content and communications to analyze context. •Facebook uses your address book, call log or SMS log to suggest people you may know. This only happens if you choose to upload, sync or import this info, says the policy. However, the company can collect your phone number and additional information from other people uploading their contacts. •Facebook logs when you are using its products, when you last used them and what posts, videos and other content you viewed—not just what you liked, shared or searched. •Among your phone’s attributes that Facebook logs are battery level, signal strength, even available storage. This is to help the company determine ways to make its apps run better and potentially save battery life. •While Facebook can obtain your location when you provide it access to GPS, for instance, the company doesn’t stop tracking your location when you turn off location services. The policy says it can get your location from other data points, including IP addresses and nearby Wi-Fi access points and cell towers. 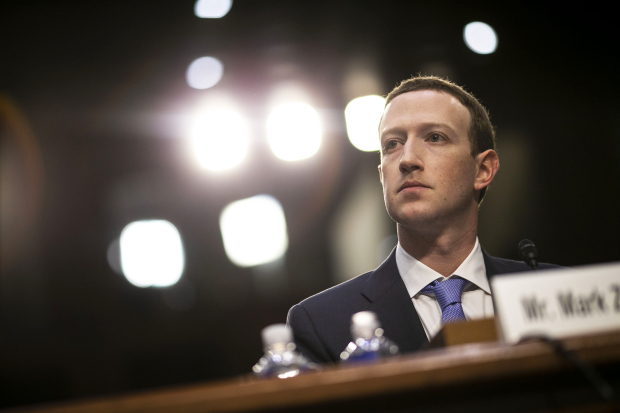 •In addition to collecting information about the devices you use Facebook on, the company says it can also collect information about other devices that are nearby or “on your network.” The policy says it is to make it easier, for instance, to stream video from your phone to your TV. •Facebook acknowledges that it tracks you via outside website and app developers—including device information, the sites you visit, purchases you make and more. This happens whether or not you are logged into Facebook. •The policy confirms that the company tracks you even if you don’t have a Facebook account. •Facebook says it also gets information about you from third-party data collectors. The company says it requires each of these partners to have lawful rights to collect, use and share your data..
•The company uses your information across its multiple products (Facebook, Instagram, Messenger and WhatsApp), so that it might suggest you follow someone on Instagram who is already a Facebook friend. •If an account is, for instance, sending spammy texts in WhatsApp, the company will “process information” from that account to “take appropriate action” on its related accounts in Facebook, Instagram and Messenger. •Facebook now recognizes that some data categories have special protections under the laws of certain countries. These could include facial recognition, racial or ethnic origin, religious and political views, philosophical beliefs and trade-union membership. •Facebook might introduce face-recognition technology on Instagram. If it does, it will “let you know first” and give you opt-in control instead of turning it on automatically. •The company says it uses location data—where you live, where you work, what businesses are close by, even people who are near you—to “personalize and improve” its products. •The data Facebook collects on or off its own products can be used to measure the effectiveness of ads, “combat harmful conduct,” fight spam and even perform research, such as tracking the “migration patterns” of people during a crisis. •Facebook warns users to “consider who you choose to share with,” because people can take screenshots, download pictures or reshare the content with others on—or off—Facebook’s products. •Friends and others in your networks can see signals telling them whether or not you’re active on Facebook, Instagram or Messenger, or when you were last on them. •Your list of friends is no longer automatically part of what is shared with outside developers, though they can request it. Facebook won’t share other information about your friends and followers with outside apps and websites (unless your friends and followers also use the app or website). •If you’ve logged into an outside app or website using Facebook, but haven’t used the app or website in three months, its developers will lose access to your Facebook and Instagram data. •Outside developers can only ask for your name, Instagram username and bio, profile photo and email address without any additional permission. If they want anything more, they have to make a case and get Facebook’s approval. According to Facebook’s developer page, the company might allow an app to pull “hometown” if it “personalizes” the experience based on where someone grew up. 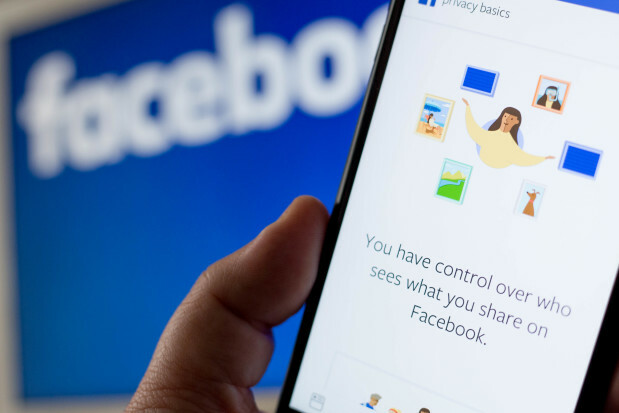 •The data Facebook holds is stored or deleted on a “case-by-case determination.” For example, your search history is deleted after six months; if you upload a photo of your driver’s license or passport for account verification, it is deleted in 30 days. •If you delete your account—which includes photos and status updates—you won’t be able to recover that information later. •If I choose to turn off personalized ads, why does Facebook continue to track me? Why can’t I opt out? Facebook’s not-so-satisfying answer (found elsewhere): Because the websites and apps that use Facebook’s tracking tools send information on everybody, and don’t know who is using Facebook products or not. •Can I see, let alone control, the data that Facebook collects about me from other users? No. Fed Officials Worry the Economy Is Too Good. Workers Still Feel Left Behind. WASHINGTON — Ann Jacks quit her job as a restaurant chef in North Carolina, started her own business and worked 80 hours a week for two years, before exhausting herself and her patience. She shut down the company and, in November, returned to her old job. It paid a dollar an hour more than it did when she left it. Ms. Jacks, who now earns $22,000 a year and said she couldn’t afford her health insurance deductible, is one of many Americans still waiting to feel the effects of an improving economy nearly a decade after the Great Recession. Yet Federal Reserve officials are beginning to worry about a possibility that seems remote to workers who still feel left behind: the danger of the economy’s running too hot, destabilizing financial markets and setting off a rapid escalation in wages and prices that could force the central bank to slam the brakes on growth. Officials at the Fed have in the last few weeks escalated a public and private debate over how close the economy is to “overheating,” a condition when abnormally low unemployment can trigger spikes in inflation and destabilize financial markets. The Commerce Department will report its first estimate of first-quarter growth on Friday, and economists expect it will register around 2 percent, short of the 3 percent that President Trump has promised will deliver large wage increases to workers across the board. Forecasters expect growth to accelerate later this year, though. Those predictions, along with a recent uptick in the inflation rate, are prompting some Fed officials to push the bank to raise interest rates at a faster pace than it has been, in order to reduce the risk of overheating. Fed officials have raised their benchmark rate to a range of 1.5 to 1.75 percent in a series of carefully orchestrated increases. Their most recent economic projections suggest they expect to raise rates two more times this year and three times next year. While officials worried about overheating are pushing a faster pace of increases, other officials say it’s way too early to turn down the heat on the economy — and on workers who are still waiting for big wage increases to show up. Both camps say they are concerned for workers like Ms. Jacks. Mr. Rosengren is among those pushing for the Fed to raise interest rates more quickly than some of his colleagues would prefer, in part because he fears a situation in which rapid inflation forces the bank to raise rates drastically, tipping the economy back into recession. Other Fed officials want to let the economy run hotter, longer, contending that economic data suggests today’s low unemployment rates are not necessarily harbingers of high inflation. Charles Evans, the president of the Federal Reserve Bank of Chicago, warned in a speech this month that Fed officials should not assume that just because low unemployment spurred double-digit inflation in the 1970s and ’80s the same situation would occur today. He suggested that structural changes in the economy, such as a disconnect between the areas where job openings are and where prospective employees live, and the reluctance of workers to move to chase those openings, could be distorting the labor market. White House officials side firmly with the “not overheating” camp, arguing that Mr. Trump’s mix of deregulation and tax cuts will increase investment and productivity in the economy, yielding faster growth while suppressing inflation. The group of Fed officials worried about overheating point to several economic data points. The unemployment rate is 4.1 percent, near the lowest level recorded in a half-century, and it is below what Fed officials judge to be the sustainable long-term unemployment rate. Forecasters expect the recent injection of fiscal stimulus, from tax cuts and increased federal spending, to drive that rate down even further. Inflation expectations are rising in financial markets, as measured, in part, by how much the government must pay investors to borrow money. Stock values remain high by historical standards, even with the recent dips in the market. In similar periods in American economic history, “there have been heightened risks either of inflation, in earlier decades, or of financial imbalances more recently,” Lael Brainard, a Fed governor, said in a speech last week. 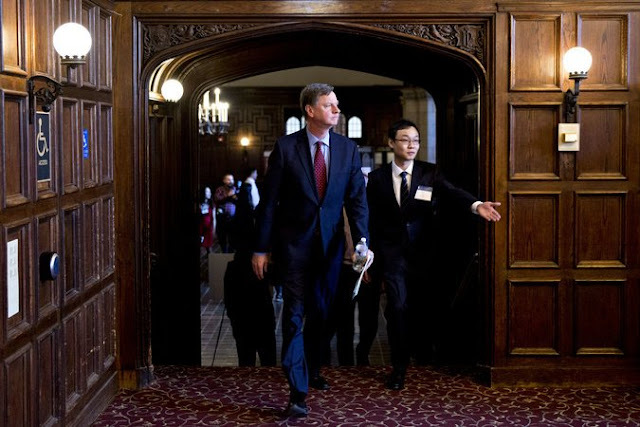 Many Fed officials worry that by raising rates too slowly, they risk having to move quickly in the event of an inflation spike or financial turmoil. Such abrupt action, they fear, could snuff growth and plunge the economy into a recession. Other officials, such as James Bullard of the Federal Reserve Bank of St. Louis and Neel Kashkari of the Federal Reserve Bank of Minneapolis, say officials should keep to the current course of rate increases, particularly because inflation remains below the Fed’s target of 2 percent annual growth. Polling and interviews suggest that American workers are worried about rising prices but far more concerned about job and wage growth. 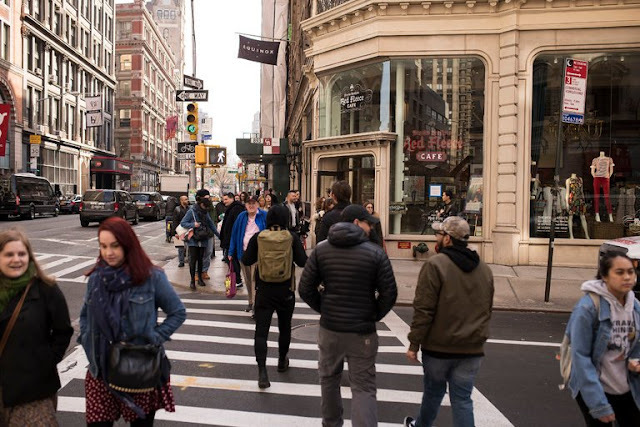 In polling in March for The New York Times by the research firm SurveyMonkey, 62 percent of respondents said consumer prices had risen faster than wages over the preceding year. Only 4 percent said inflation was the largest economic problem facing the country. Twenty-five percent named the cost of health care as the largest economic problem, 21 percent said the gap between the rich and everyone else, and 10 percent named stagnant wages and benefits. Constance Bevitt, who does freelance work in Montgomery County, Md., said Fed officials were wrong to be worried about overheating. Ms. Jacks said she was struggling with a low salary after closing her locally sourced food company and returning to restaurant work. She also said she had noticed vacancies in the industry going unfilled, because restaurants could not find workers. Their owners, she said, cannot afford to raise wages in order to attract talent. Bank profits are doing great; bank stocks, not so much. One big reason is uncertainty over future dividends and buybacks. This is ultimately in the hands of the Federal Reserve. 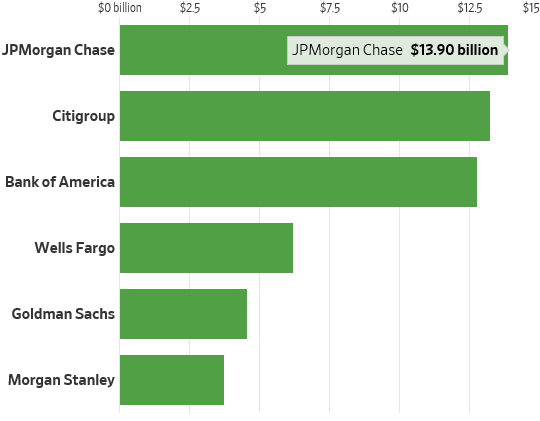 The central bank determines how much large banks are allowed to pay out to shareholders—from July through the following June every year—through its annual stress tests. This year, bankers are warning that the tests will be particularly tough. As in previous years, the Fed assumes in its “severely adverse” scenario that the unemployment rate spikes to 10% over seven quarters. With unemployment at 4.1% this year, compared with 4.7% last year, the jump would be bigger. Future stress tests will introduce even more uncertainty. The Fed’s proposed new capital requirements include a new layer of funds called the “stress capital buffer,” which can change each year depending on how banks fare in the stress tests. 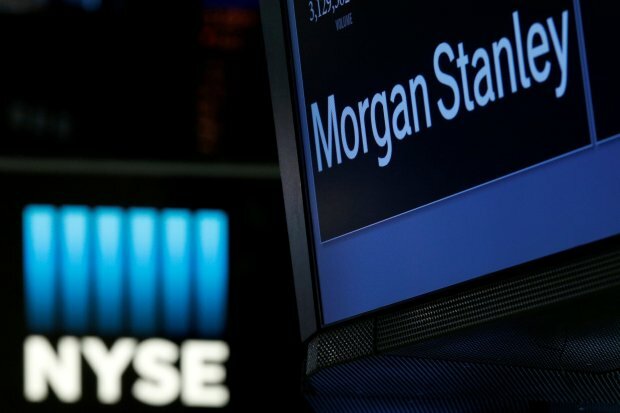 Analysts estimate that investment banks Morgan Stanley and Goldman Sachs will be hardest hit by the change, but every bank undergoing the tests may face increased variability in their capital requirements from year to year. “The question is, is that going to introduce uncertainty? And is that going to force all these banks to have…more of a buffer?” asked Bank of America Chief Financial Officer Paul Donofrio on a conference call. Bankers measure their words carefully when talking about their most powerful regulator. These comments suggest they aren’t happy. There is a case to be made that some banks shouldn’t be prioritizing share buybacks right now anyway, given high valuations. In late 2016, JPMorgan Chief Executive James Dimon said buybacks weren’t a great use of capital when valuations get high, though he didn’t specify at what level. Since then the bank’s valuation has risen from 1.66 times tangible book value to 2.09 times. And when shareholders don’t get their buybacks they get frustrated. That was made clear this week when Goldman Sachs said it doesn’t expect to do any buybacks during the second quarter due to an earlier tax charge. Its shares promptly fell 1.6%, despite excellent earnings. To keep shareholders happy, banks likely need to buy back as many shares as the Fed will let them. The problem right now is that neither the banks nor their shareholders have a clear idea how much that will be. The chart below has been making its rounds as of late. It is a ratio of the S&P GSCI Total Return Index, a basket of commodities, to the S&P 500. It paints a very interesting picture of where commodity prices are in relation to general equities. Relative to general equities, commodities are the cheapest they have been in almost 50 years. GSCI Total Return/S&P 500, Source: Bloomberg Monthly Last Price, Kenton Ralph Toews, Date: March 30, 2018. Notice the GSCI is a total return index and the S&P 500 is a price return index. Hence, the chart above compares a total return index with a price return index. A total return index accounts for the effects of compounding by including the reinvestment of cash distributions and dividends. By contrast, a price return index does not take into account cash distributions and dividends and, therefore, ignores the effects of compounding. For these reasons, over time, a total return index will outperform its corresponding price return index. For consistency, when comparing two indexes we should consider either the total return or the price return of both. The popularity of the S&P 500 price return index suggests a good starting place. GSCI Total Return ratio compared to GSCI Price Return ratio, Source: Bloomberg Monthly Last Price, Kenton Ralph Toews, Date: March 30, 2018. The price return comparison of the GSCI and S&P 500 paints a much different picture than the original, widely publicized, chart. This chart suggests that commodities, relative to general equities, are even cheaper than reported. Furthermore, the commodity bull market of the 2000s barely registers a blip on this chart — it was nothing compared to the commodities bull market of the 1970s. To put the above charts in context, we should break down the GSCI. The GSCI is an index composed of individual commodity prices. GSCI Composition, Source: S&P GSCI Index Methodology, Kenton Ralph Toews, Date: February 2018. Energy is by far the largest component at 58% followed by agriculture at 26%. Together, the two components represent 84% of the index. Therefore, it is more appropriate to say energy and agricultural products relative to general equities are the cheapest they have been in the last several decades. How cheap is gold relative to general equities right now? Gold/S&P 500, Source: Bloomberg Monthly Last Price, Kenton Ralph Toews, Date: March 30, 2018. Right now, the Gold/S&P 500 ratio is approximately 0.5, which means one ounce of gold will buy half a unit of the S&P 500. Seventy-seven percent of the time, the Gold/S&P 500 ratio is above 0.5. Fifty percent of the time, the ratio is above 1.0. Over the last 90 years, the average Gold/S&P 500 ratio is 1.4. To keep the math simple and to be conservative let us assume mean regression will take that ratio to 1.0 at some point. 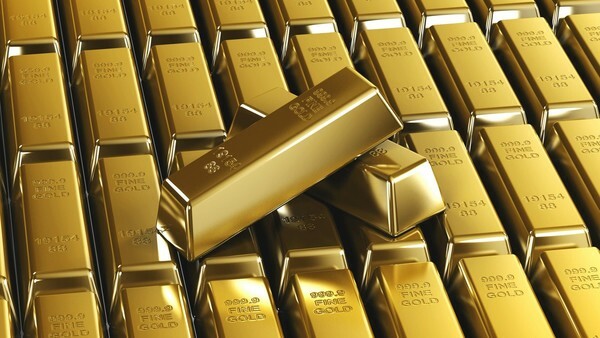 As I write, gold is approximately $1,335 a troy ounce and the S&P 500 is around 2,685 To achieve a Gold/S&P 500 ratio of 1.0 at the current S&P 500 level, the gold price would have to double to $2,670. On the other hand, if gold stays constant at $1,335, the ratio implies an S&P 500 at half its current level. Ultimately, it does not matter whether the S&P 500 goes up or down. If history is a guide, and the ratio trends upward, gold will outperform general equities from a relative point of view.